This richly illustrated New York Times bestseller and word-of-mouth-phenomenon takes readers on a journey through the magical landscape of Sedona, illuminating the path to self-discovery and opening readers to a higher purpose and potential—from one of the world’s most renowned meditation teachers. The Call of Sedona speaks to anyone seeking greater fulfillment and deeper meaning in their lives. With practical advice on meditation and profound insights on the healing power of the earth, this book gives you the guidance you need to embark on your own journey of the heart. If you haven’t been to Sedona, this book will urge you to travel to this blessed place. If you have been to Sedona—or even if you live there now— this book will deepen the love you hold for the wonders of the land. 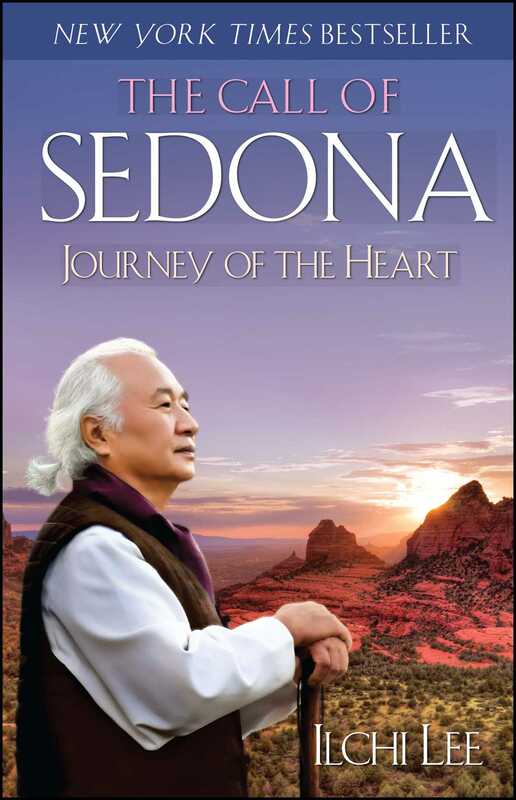 Wherever you are, let this book show you how to experience the spirit of Sedona and make a true connection with your heart. I RARELY STAY IN ONE PLACE for more than a few months. That’s because traveling the world and meeting and speaking with people is my life’s work. Nonetheless, Sedona is the land I love the most on this earth. Whatever place I’m coming from, when I head back to Sedona and start to see its red rocks in the distance, my heart and breath open up and my mind becomes calm as though I’ve come home. Sedona is a flower blooming in the Arizona desert. The land here is a deep red, the sky an endless blue. Between that red earth and blue sky, there flows a sacred atmosphere. Not only are there red rocks, green juniper trees, cacti, and a burning sun, but there are also ravines and steep gorges where clear water flows and wooded forests are soaked with the golden hues of autumn. This arid land that pours out such a primordial power has a unique ability to awaken within us the greatest of spirits. I first came to Sedona in January 1996. At the time, I was yet another tourist among many, drawn by its beauty and mystery. Now, fifteen years later, I can’t imagine my life without Sedona. To me, Sedona is the most comfortable home as well as a most divine and sacred land. It’s the friend with whom I feel the closest of connections, the seuseung, or spiritual guide, who always awakens me anew. I have received many messages while in Sedona, such as when I sat atop Bell Rock, looking down at the river embraced by red stone; when I walked along the banks of Oak Creek and quietly watched the full moon reflected in its water; and when I stood on Schnebly Hill and was mesmerized by the flames of the sunset in the western sky . . . Sedona has spoken to me. The messages I received from Sedona were, at first, almost like fantasies, for Sedona always told me to dream dreams that seemed impossible; at times, it even caused in me agonizing dilemmas that were difficult to bear. But I had to listen to those messages. When the messages of Sedona reverberated in the deepest parts of my heart, even if they seemed ridiculous things to do from a rational perspective, I just focused on them unconditionally. Whenever I was having a hard time, I would turn to the rocks and trees that had lived so much longer than human beings; I borrowed a lot of strength from the moon and the stars of Sedona, which were awake in the dead of night, when the world was fast asleep. This is how the things that seemed at first like fantasies became realities, one by one. And many others were drawn to participate in them, too. Sedona gave me a dream. It gave me constant inspiration and strength so that my dream would not die, no matter the hardships I found myself facing. To me, everything in the United States used to be so foreign, including the language and the culture. Through Sedona, I gained the strength to truly settle here. I gained a new inspiration that enabled me to share my enlightenment and training methods with the whole world, and it is here that I met so many friends and supporters. Though I was well past middle age, I also opened myself to a new creativity and artistic capacity that was rising inside of me. This is the place where I developed the Earth Citizen spirit as a philosophy, and where I heard the message of Mago, which means Mother Earth. In order to repay the blessings I received from Sedona, I worked hard to share with other people what I felt and discovered through this place. That’s why I love Sedona as much as I love my life. With every step I take upon this red and sacred earth, I am filled with deep gratitude and affection. Sedona is truly a sacred and blessed land. When I stand on a hill of red rock and look into the distance where heaven and earth meet at the horizon, or when an immense, round moon rises so close that it feels like I could just reach and touch it with my hand, what arises within me is a lucid awareness that I’m living on a star called Earth, and I find myself deeply and vividly moved. The heart of the earth opens my heart and enters, becoming one with me. And concern for people and the world arises from the deepest part of my being, along with a powerful desire to take care of them. The messages of Sedona, this land graced with beauty and wonder from time immemorial, always make my heart vibrate with strength and love as intense as the very redness of its earth. This book contains stories about the messages that I received from Sedona. It also has stories about my life, which I have lived by following those messages. And this book can also become your story. The essence of the message that Sedona has conveyed to me is that inside each one of us there is a much greater and more beautiful truth and dream than the ordinary ones we know. And that we already have everything we need to achieve them. I hope that, through this book, you realize that you have always been great and that you will gain fresh inspiration and a dream that will infuse vitality into your life. Finally, I hope that you can take part in the beautiful dream that Sedona gives through its profound connection with the earth. It is always our dreams that lend meaning and value to our daily life. If you need a dream—or if you need to rediscover a dream you’ve lost—come here to Sedona. IN EARLY 1996, I was reading a newspaper in Los Angeles when I saw a photo that immediately grabbed my attention. “Hey, where is this place?” I asked. The red rocks were so real they felt like they might jump out of the paper at me. I read the caption beneath the photo and learned it was a place called Sedona, in the state of Arizona. I couldn’t get there fast enough; I wanted to see those red rocks, so I asked an acquaintance to come with me. It was a long drive, of nearly eight hours. We cruised along from Los Angeles to Flagstaff until we came to Sedona. It was the middle of the night, so we settled into a motel that hugged Oak Creek Canyon. It was a dark night, so there was little chance to see the scenery aside from the sparkling stars that filled the night sky with their refreshing twinkling. I wondered what Sedona would look like when I opened my eyes in the morning. As I filled my lungs with its clean, crisp air, I went to sleep with excitement and anticipation in my heart. As soon as I opened my eyes the next morning, I threw back the curtains. The view was of a mountain of blended red and white rocks, standing tall above the verdant juniper trees. At the top of the mountain were large and small rocks shaped like various animals. Then I saw one that caught my attention. At a flat part on the top, there was a modest rock whose form resembled a person meditating while seated in the lotus position. I couldn’t tell whether that was true or whether those were the only rocks my eyes could see, no matter where I looked, but my initial feeling was very good. After a simple breakfast, I wandered about Sedona, here and there, wherever I felt like going. It seemed like the entire city was embraced by arms of red rock. The green of the junipers and cacti that dotted the red turf proffered a dramatic contrast of color. The sky of Sedona, wrapped around the red burnt earth, seemed clearer and bluer than any sky I’d seen. There was a sanctity circulating in the air between earth and heaven. Though it was winter, warm sunlight was shining down through the clear air. As I looked at the dazzling beauty of Sedona’s earth and sky awash with the morning sun, my heart skipped a beat, and it occurred to me that this just might be the place for which I had been searching for so long. I came to the United States from Korea in 1993 to share the traditional Korean mind-body training methods known as Dahnhak (which became Dahn Yoga in the United States). At the time, the Dahn Centers that I had established in Korea had increased to around fifty and I was sharing a modernized and systematized form of Dahnhak with many people. I handed over the management of the Korean Dahn Centers to my students and started anew in the United States with a pioneering spirit. The place where I first settled with my students was New Jersey. It was not easy, however, to put our roots down in a land where the culture and even the language were so unfamiliar. Our first attempts were ones of trial and error. During that time, I would sometimes walk on the banks of a lake near Bear Mountain, New York. One day, as I gazed out across the surface of the lake reflecting the light of the setting sun, I asked myself, “What should I do?” What occurred to me then was that I should get to know the United States inside and out. I felt that I really needed to experience the United States for myself, with my own two eyes and feet. I decided to get a car and travel across the country from east to west. Our itinerary would take us from New York to California, along the western coast up to Vancouver, through Toronto, and then back to New York. For several months, I wandered among the beautiful mountains and valleys of the United States. I went inside the busy metropolitan areas as well, and felt the confusion of their people’s hearts. It was a good opportunity for me to feel the energy of this massive land with my own body, mind, and senses. As I crossed the country, there was one thing I was looking for: a new land where I could put down my roots and thrive. The moment I saw Sedona, I felt a strong intuition that this would be that very place. However, although I stayed in Sedona for three days, I was still unable to make a final decision. One of the reasons I hesitated was that Sedona was a desert. According to the Eastern practice of feng shui, a harmony of the five energies—wood, fire, earth, metal, and water—is essential. Certainly, wood energy was coming from the forests of juniper trees and shrubs; there was obviously plenty of fire energy since it was a desert where the sun beat down strongly; judging by the power pouring from the ground of Sedona, nothing needed to be said about earth energy; and since it was iron that gave to the earth its deep red color, it was also full of metal energy. However, since it was a desert terrain where water was scarce, the thought that water energy might be insufficient kept bothering me. I went back to Los Angeles and returned to Sedona after a few days. It was then I saw something that blew away all my concerns—Oak Creek Canyon, where the creek flowed right alongside the highway going up from Sedona to Flagstaff. During my first visit I couldn’t see it closely, but there was clear water flowing abundantly through the canyon. I realized then that Sedona had the necessary amount of water energy, too. With this in mind, I found a desire to make a new start in Sedona, where, although it was desert terrain, the energy of the five elements were harmonized so well. And I started to feel certain that, in a place like this, I could establish the meditation center of which I had dreamed. It took me a few more days to look around the Native American reservations and nearby famous locations in Arizona, Utah, and Nevada. I also visited Lake Powell, Rainbow Bridge, the Grand Canyon, Bryce Canyon, and the canyons of Zion National Park. All of them were places that not only had been regarded as sacred by Native Americans but also displayed the beauty and dignity of nature without restraint. I was also pleased with the fact that Sedona was not too far from many of these places. Having resolved upon my second visit to move there, I rented a modest place that I could use as a home and office. From that point onward, every time I pronounced Sedona’s name, every time I told other people about Sedona, and every time I practiced meditation in Sedona, I started to believe that a new enlightenment would arise from this place. That was my belief and it was also my profound hope. And this is how my Sedona story began. Ilchi Lee is a respected educator, mentor, author, and trailblazer devoted to developing the awakened brain and teaching energy principles. For the past thirty years, Lee has dedicated his life to helping people become the authors of their lives by harnessing the creative power of the human brain. He has developed many mind-body training methods, including Dahn Yoga and Brain Education. 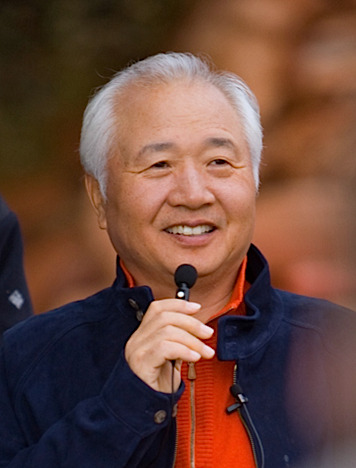 Since his first visit to Sedona in the 1990s, Lee has shared the messages and spirit he has received from this special land. He is the founder of Sedona Mago Retreat, a place for spiritual awakening and holistic learning, located in the wilderness of Arizona’s red rock country. For more information, visit Ilchi.com. "The Call of Sedona is not nearly so much about a place as it is about a place of Being; not only about a location on the map of the world, but a location on the map of the mind. Recognizing that this unique city in America holds both a Message and a Metaphor for those in search of greater meaning and purpose in life, Ilchi Lee has produced a book filled with remarkable wisdom inspired in a remarkable setting. Not to be missed."